A virtual private network helps you stay safe while online, and keeps your private things away from prying eyes. 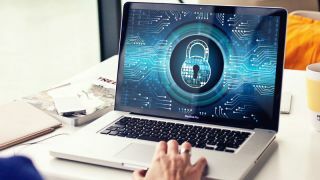 Picking a VPN service is a daunting task as we start 2019 with a lot of uncertainties when it comes to online privacy and security. With hundreds of different VPN providers out there, choosing the right one means striking the right balance between services, ease of use and pricing. Those looking for a solid VPN service will obviously want to do their due diligence to find the best match. If that’s you – you’ve come to the right place. We've surveyed the market and collected our pick of the best VPNs out there, all sorted into different categories. Our guide will also be constantly be updated with all the latest information, providing all the information you need to know. ExpressVPN has long been recognised as one of the world's top VPN providers, with fast speeds and solid customer support. With 148 locations in 94 countries and available through plenty of clients, it’s the best services out there. Regardless of your platform, you will find a native client, as ExpressVPN offers clients for Mac, Windows, Linux, but also iOS and Android, and even BlackBerry (albeit limited to a handful of models). ExpressVPN also offers routers with custom firmware and VPN browser extensions, making it an all-around great service. A wide variety of simple and useful web-based tutorials will make sure you're up and running in no time. This includes P2P support, a kill switch and generally good performance. One would expect such a powerful solution to be located in one of the world’s largest tech hubs, but NordVPN is located in Central America. Its key advantages are a large pool of servers (5,000+), and more than 60 locations around the globe. It can support up to six devices at the same time, and the data gets a 2048-bit encryption. Features like DNS leak protection, killswitch, dedicated IP address and being able to pay with cryptocurrency are also very worth mentioning. For IPVanish, its key selling point is the quality of service. The company claims to offer “the world’s fastest VPN”, with more than 40,000 shared IPs, almost a thousand VPN servers spread across 60 countries, unlimited P2P traffic, five connections and lo logs. If the price is your main concern you might want to look elsewhere, but in other case, IPVanish is a serious contender with fast speeds, plenty locations to choose from and a well-built client (even though its latest Windows client could use a bit more work – it suffers from the odd network issue). Again, it's not the cheapest product out there, but with this service you get what you pay for, and there is a seven-day money back guarantee. Hotspot Shield Elite is another of the market's top offerings, coming with all the necessities at a competitive price and the ability to purchase a lifetime license. Private browsing, “access all content”, and up to five simultaneous devices – those are the aces up Hotspot Shield’s sleeves. Performance-wise it lacks for nothing, there’s an ever so slight increase in latency, with both upload and download speeds a bit faster after being connected. What we’d like to see is more freedom for configurations, and more locations. However, with such high speeds and competitive prices, there’s very little room to feel unsatisfied. At the end of the day, there is a seven-day trial for everyone to see for themselves. One feature in particular, which stands out, is the option of kicking off the VPN when specific apps are launched. Torrent users will be happy to hear that this service supports them on most of its servers. Performance-wise it is solid. It offers a free plan that comes with a few caveats, including just one device at a time, being a bit slower than the commercial version, and ads. Data usage is unlimited, and for those looking to buy, they have a 30-day money-back guarantee. Whenever someone mentions TunnelBear, ease of use is the first thing that comes to mind. This Canada-based VPN offers extremely good user experience, but also plenty of clients to choose from on both desktop and mobile platforms. Its hassle-free approach is clearly visible from the company's website – the language is as simple as it can be. Experts, on the other hand, might not enjoy not being able to get access to all the nuts and bolts of the clients. So if you're a beginner – this one is for you. TunnelBear comes with servers in more than 20 countries and offers up to five connections at the same time, which is pretty good, all things considered. It has strong privacy measures and clear policies. It also performed really well in our tests, even though long-distance connections seem to drop in speed. This service offers four native clients – one for Windows, Mac, iOS and Android. Be advised that the Android one is still new and could be a bit unstable, so proceed at your own risk. There are also solidly built browser add-ons. Windscribe's strongest selling point is that it offers unlimited connections with its commercial plans, so it can cover everything, regardless of how many machines you throw at it. Still, it offers a free plan with 10GB monthly data (albeit for one device only). VyprVPN looks to stand out from the crowd with a useful unlimited data usage offering. The service is also based in Switzerland, meaning it can benefit from the country’s advanced privacy laws. There are more than 70 server locations around the world, and comes with cool features like auto-connect or a killswitch. Clients are very intuitive, especially the Windows offering, and the service includes VyprDNS and the Chameleon protocol to provide extra security. There are no refunds, but there is a three-day trial. When it comes to subscribing, you can choose either a monthly or an annual plan, be it either Basic or Premium.